Honoring the top producing Latino originators in the U.S. 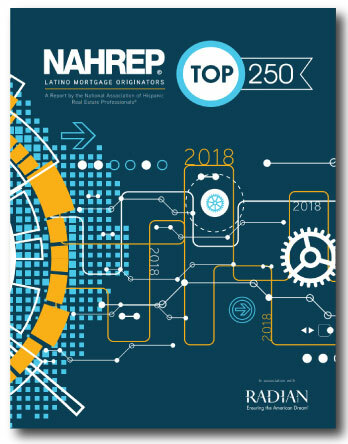 The honorees will be recognized at the 2018 NAHREP National Convention at L'ATTITUDE in San Diego in September. The convention will be preceded by the Elevate Mortgage Summit, a program designed to provide unique sales training for mortgage professionals featuring content developed for top producers. Some of the individuals on the Top Originators list will be featured at the summit.